Quentin Vennie is a New York City based writer, speaker, wellness expert and author of the forthcoming memoir The Hardest Truth (Rodale, 2017). He continues to share his experiences growing up in Baltimore, the impact poverty has had on his life, drug dealing, and how he overcame addiction, an anxiety disorder, and depression using his personal ‘Trinity of Wellness’. Through his many philanthropic efforts, coaching and speaking, he aims to continue motivating and inspiring people to rediscover their truth, while helping them uncover the tools needed to rewrite the story of their lives. He is living proof that it’s never too late to become a better version of yourself. Quentin’s work has been featured on some of the world's largest health & wellness platforms, including Huffington Post, MindBodyGreen, Positively Positive, Mantra Yoga + Health Magazine and Z Living. Over the past three years, Quentin’s articles have reached over 1 million readers worldwide and has been shared over 100,000 times via social media and other viral networks. 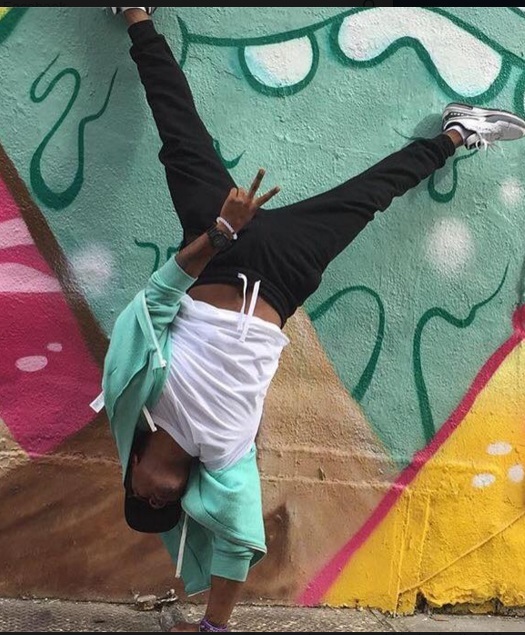 He is scheduled to be featured in an upcoming issue of Mantra Yoga + Health Magazine as one of eight most influential African American yogis, pioneering a shift in the stereotypical perception of yoga. He has been an 8x repeat guest on Huffington Post’s live streaming network HuffPost Live, discussing topics ranging from anxiety and depression to yoga and spirituality. He has been publicly celebrated on his healing journey by New York Times Bestselling Author Kris Carr, filmmaker Joe Cross, Strala yoga founder Tara Stiles and many others. Through speaking engagements, workshops, his new YouTube series ‘Master Your Monday’, blogs and daily inspirational messages via social media, Quentin has become the living example that the impossible is indeed possible. I help people transform their lives and uncover the best version of themselves. I like to challenge people to change the conversations they’re having with themselves. So often, we are having a damaging dialog with ourselves and my goal is to help people shift that. If we change the dynamic of our thinking, we will change the trajectory of our lives. Everyday when I climb out of bed, my goal is to be a better version of myself— to do more that day than I did the day before. I don’t want to be the best at what someone else is doing, but rather be the best at what it is that I do. By focusing on being the best I can be, it enables me to give my best to others and guide them on being the best they can be. I believe that being a little selfish in my personal care, allows me to be selfless in my quest to impact the world. I firmly believe that my purpose is greater than me. Everything I do is greater than me. I see the bigger picture. I never request of others what I don’t first demand of myself. Personally, I aspire to be the best father, son, partner and friend I can be. I want to use my gifts to provide opportunities for others— to shift the perception of the majority and break the barriers needed to ignite change. I hope to inspire people that may have lost faith in themselves, motivate those that feel like they have been counted out, and speak for those that believe they don’t have a voice. Professionally, I aspire to never become complacent in my message, my reach, my audience or my desire to be impactful. My aim is to continue to spread the idea that a journey built on the foundation of faith, self love and self awareness, can produce limitless possibilities. I’m currently in the development stages of a health initiative geared toward helping students in the city of Baltimore. My biggest success thus far has been providing my children with the type of father that I wish I had growing up. Despite the adversities that I've endured— addiction, suicide attempts, an accidental overdose, I've never allowed that to impact my relationship with my children. Watching them grow has been my greatest blessing. I run a successful business, I'm writing my first book, speaking and inspiring people all over the country, but none of it compares to helping my kids with their homework or taking them to school every morning. I'm one of the assistant coaches for my sons basketball team, I'm teaching my other son how to cook and make green juice. There's nothing better than that! As crazy as this sounds, my most challenging moment is right now, writing my book. I'm forced to relive parts of my life that I fought so hard to forget. I have to address issues that happened during my childhood, but with the mind of an adult. There's a totally different level of understanding attached now. I have to feel those feelings again, 25 years later. I underestimated the emotional strain that would be associated with writing this book. I've actually contemplated quitting a few times, it's been that rough for me. But I realize that my story is bigger than me. The reason I survived is bigger than me. It always has been and always will be. My goal is to inspire at least one person every day to be better. If I can do that, than I've done exactly what I've set out to do. My experiences at that point were not in vain. I always tell myself that, if I can't change the entire world, I guarantee I'll change the world for somebody entirely. I’m inspired by a lot of people. Many of whom I know personally, some I will never meet in this life and others I haven’t had the opportunity to befriend yet. To name a few, I’d have to say: My kids, my parents, my partner, my best friend Daryl, Tara Stiles, Rebekah Borucki, Eric Thomas, Rob Hill Sr., Napoleon Hill, Zig Ziglar, Les Brown, Oprah Winfrey, Shawn ‘Jay-Z’ Carter, Bob Proctor, Jack Canfield, Elizabeth Gilbert, Russell Simmons, Earl Nightingale, and whoever has a dream that causes them to lose sleep. I’m inspired by passionate people that won’t just go with what’s popular, but will always go with their truth. My yoga mat, any organic juice bar, any place that allows people to be themselves without judgement or criticism, California, New York City, Strala Yoga, and my hometown— Baltimore. I love my Vitamix, my Omega Juicer and practically anything Apple— iPhone, MacBook, iPad, etc. I’m passionate about being the best father I can possibly be. I’m also very passionate about writing, speaking, creating, building and inspiring change throughout the world.